Bucket list item accomplished! I've lived in Southern California my entire life but had never driven up the coast to take in the Golden State's incredible seaside. This weekend it finally happened and it was magical. The drive really isn't bad at all. 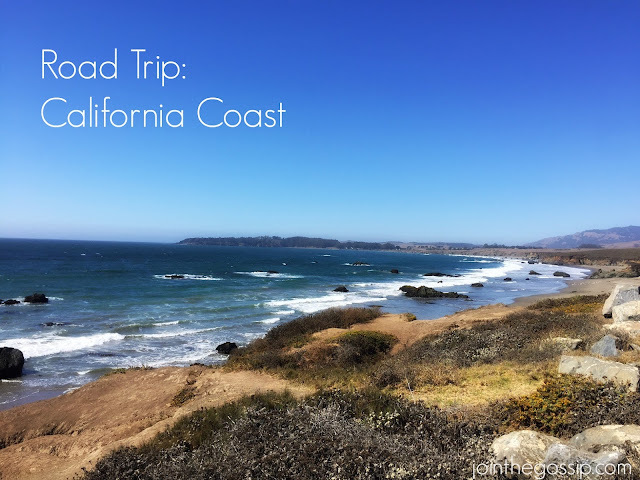 Traveling from the Orange County area to Carmel-by-the-Sea (just past Big Sur, within Monterey County) is roughly 360 miles and six hours with light traffic. That may sound like quite a trek, but when you have a breathtaking ocean view, it's an adventure that passes by quicker than you'd like. If you want to stop along the way, expect travel time to be up to 12 hours - our journey was about 11. But again, it's a scenic drive and we made many stops so the time flew. It can get quite foggy but I heard October and November are clearer months. Keep that in mind when planning your trip. When embarking on your drive, my tip is to head out early to beat the traffic. 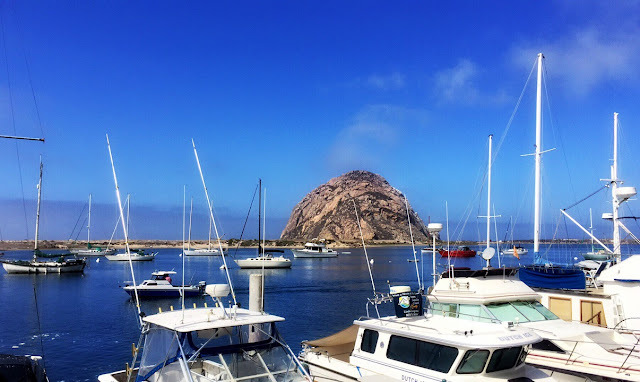 Leaving before 7am allowed up to reach Morro Bay before the lunch rush. Morro is small and it appeared that any of the restaurants would provide a great view. Grab a seat outside and enjoy the ocean breeze and the big famous rock. 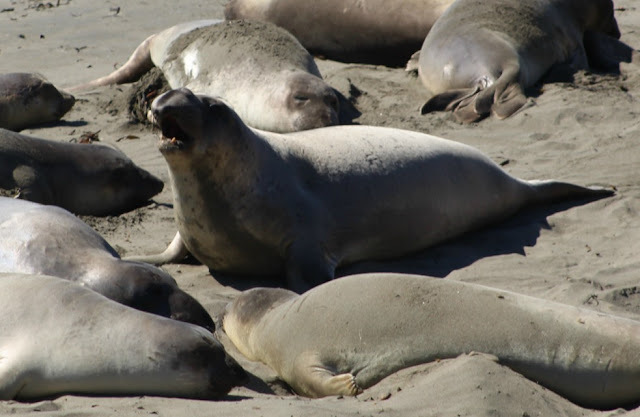 About 45 minutes north of Morro Bay is the Piedras Blancas elephant seal rookery - an absolute must! While the busiest season for these seals to migrate to this region is January through May, we still saw a bunch of them spread across the beach. Try to spot the long elephant-like nose that the males have. It's free to park and view these huge marine mammals. You can spend as little or as much time as you'd like here. We probably took half an hour. 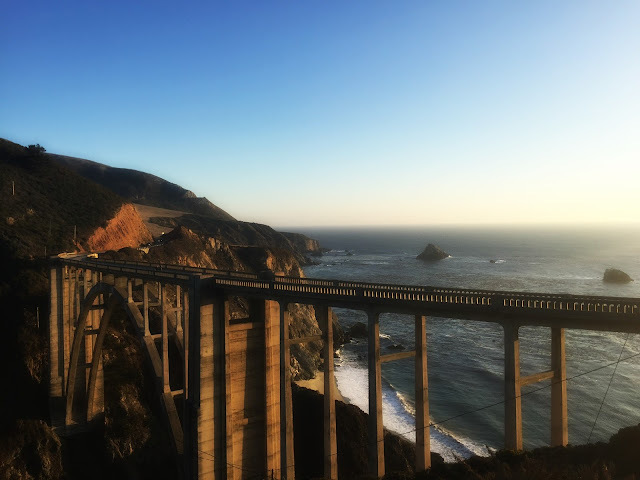 After we left Piedras Blancas we ventured up the coast 46 miles, occasionally stopping at vista points along the way, until we got to the Big Sur area to see McWay Falls. 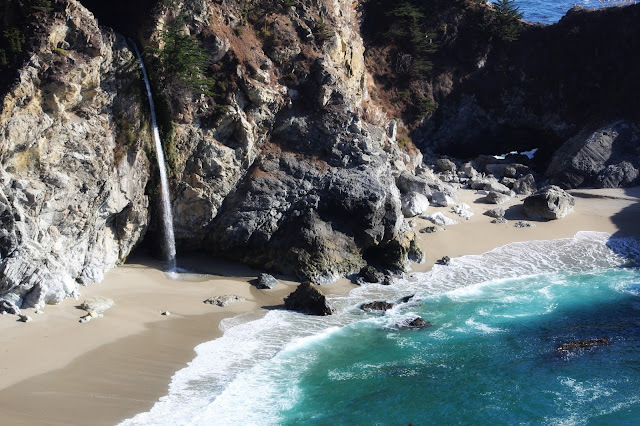 Located within Julia Pfeiffer Burns State Park, you can select to pull into the lot and pay $10 or park along the road for free and walk in. There will probably be cars along the road that'll help you know you've arrived. The walk to the viewing area is about 10 minutes in and 10 minutes out and not too difficult, although there are some slight inclines and a few stairs. Once you get to the falls you will be in awe. If you can time to get here after mid-day you'll have better lighting for taking pictures. It was still a bit bright when we visited but I was able to get some good shots - although photos don't do this beach justice! 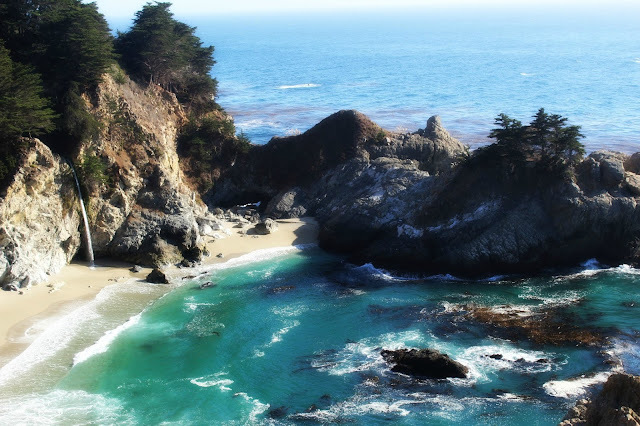 Definitely stop at McWay Falls and allot yourself about an hour. I cannot stress this enough. It was my favorite stop the whole trip and will be well worth your time! Continuing up Highway 1 for 30 minutes, we came across the infamous Bixby Bridge that's one of the most photographed bridges in California. It's quite gorgeous and another great photo opp. Again, you'll see cars lined along the road after you cross the north end. Pull over and take a few snaps. Another half an hour and you'll be in Carmel. We made it just in time to check into Hofsas House to catch the tail end of the sunset from our balcony. A perfect ending to a beautiful one-day road trip! 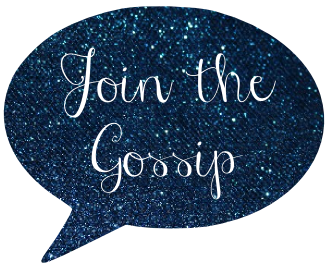 Come back Wednesday for a recap of Monterey and Friday for info on our stay in Carmel at Hofsas House. Oh my gosh! 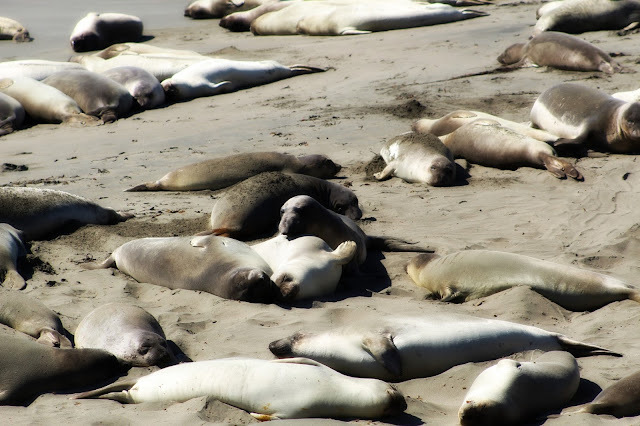 My daughter would love those seals...your pictures look so dreamy! I want to be sitting on that beach!